Tender souffle with vanilla flavor in chocolate glaze. 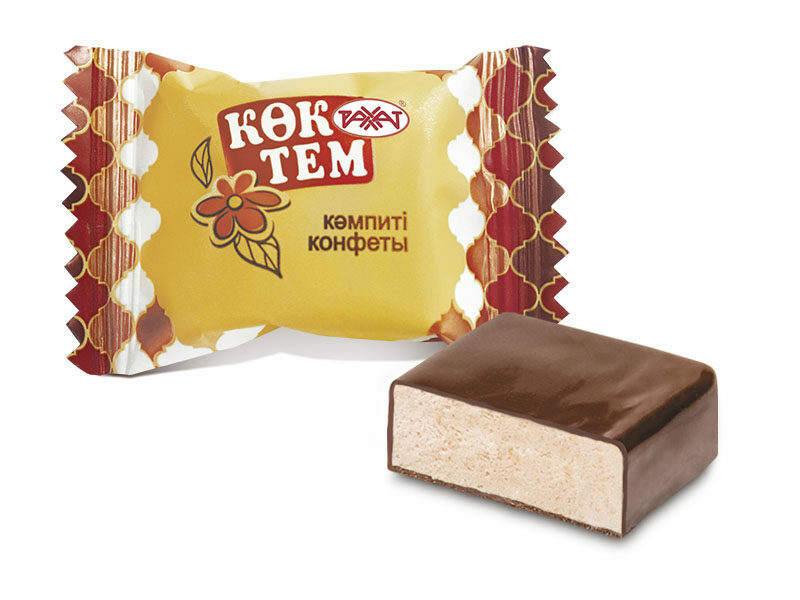 Ingredients: sugar, glucose syrup, cocoa mass, candy mass, cocoa oil, vegetable fat (palm oil), water-holding agents: sorbitol, «Vanilla-ST10318»; egg-white dried, gelling agent – agar; emulsifiers: soy lecithin, Е476, Е492; common salt, neutralizer – citric acid; stabilizer – invertase; aromatizers are identical to natural. Storage temperature is (8-24)°С, relative air humidity should not exceed 75%.